15 | August | 2012 | Based on truth (and lies). Thanks to Film Detail you can now download the entirety of the interviews here. 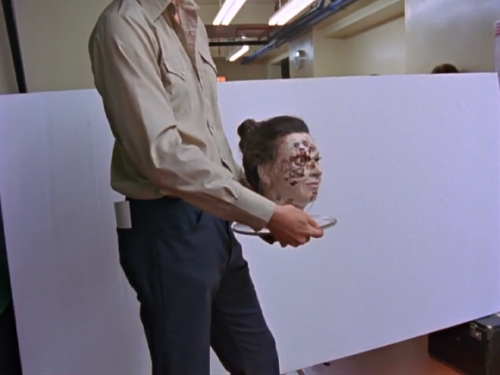 During a closing montage in Vivian Kubrick’s documentary on the making of The Shining, Stanley Kubrick can be seen filming some sort of test in the kitchen hallway, using a wound-ridden prosthetic head of a woman with her hair pulled back in a bun. I have never found information about this test, or the presumably deleted scene for which it was ultimately intended. UPDATE: Gordon Stainforth, editor of Vivian Kubrick’s documentary, confirmed that this was an early make-up test for the woman in Room 237, created by make-up artist Tom Smith. 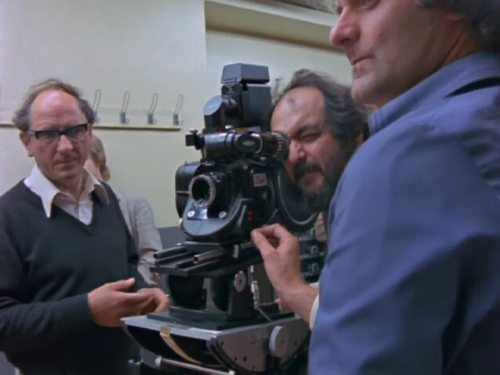 Kubrick was filming the test to see how the prosthetic would read on 35mm film.